Technique of the Week: Curing | We Like to Cook! Preserving food by using a combination of salt, nitrates, nitrites or sugar is a technique called curing. 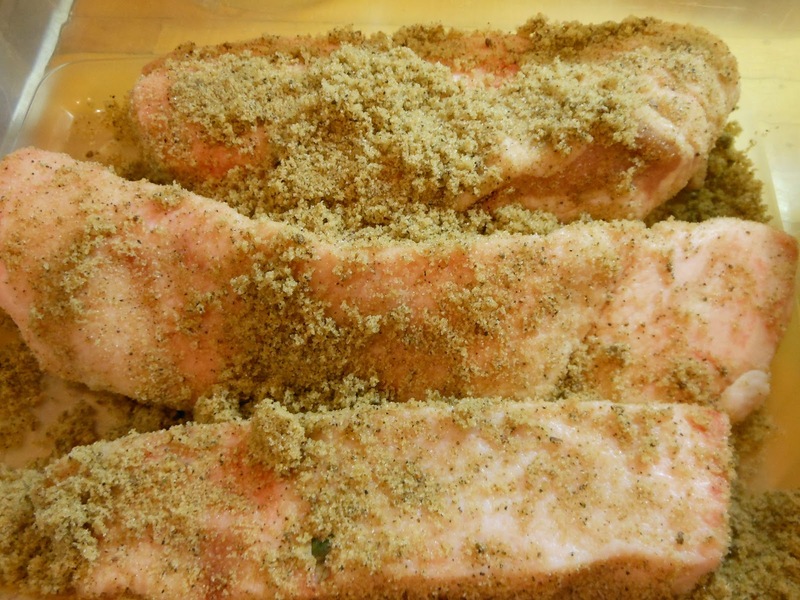 Some curing processes also involve smoking for flavoring or cooking. Food curing dates back to ancient times, both in the form of salt-cured meats and smoked meats. Regular table salt is the chief ingredient used in meat curing. By removing water and adding salt to meat, a solute-rich environment where osmotic pressure draws water out of microorganisms is created. This retards the growth of harmful microorganisms. Salt also slows the oxidation process, effectively preventing the meat from turning rancid. The process requires a concentration of salt of nearly 20%. Salt also causes the soluble meat proteins to come to the surface of meat particles within processed meats like sausages. These proteins coagulate when the sausage is cooked, helping to hold the sausage together. While the use of nitrates and nitrites (saltpeter) in food preservation is controversial, nitrates and nitrites not only help kill bacteria, but also produce a characteristic flavor and give meat a pink or red color. This increased the popularity of their use during the nineteenth century as consumers strongly preferred the red-colored meat to the grayish hue of meats cured with regular sodium chloride. When it was discovered that there was a potential for the formation of nitrosamines when the preserved food was cooked at high temperatures, the U.S. Government began carefully regulating the use of nitrites and nitrates in commercial meat processing. With the exception of bacon, sugar added to meats for the purpose of curing contributes little to the resulting flavor, but it can help alleviate the harsh flavor of salt. In addition of sugar also boosts the growth of beneficial bacteria like Lactobacillus by feeding them. Meat can also be preserved by exposing it to smoke from burning or smoldering plant materials, usually wood. Smoking helps seal the outer layer of the food being cured, making it more difficult for bacteria to enter. The Plains Indians used to hang meat at the top of their teepees to increase the amount of smoke making contact with the food. Common smoking styles include hot smoking, smoke roasting (pit barbecuing) and cold smoking. If the smoke is hot enough to slow-cook the meat, it will also keep it tender. Smoke roasting and hot smoking cook the meat while cold smoking does not. If the meat is cold smoked, it should be dried quickly to limit bacterial growth during the critical period where the meat is not yet dry. This can be achieved by slicing the meat thinly and dehydrating it, as with jerky. 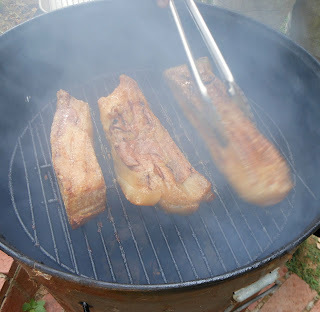 Cold smoking is often employed in combination with salt curing. Thanks for the tips for pulling off this technique properly. It is a nice technique to know. Great post.